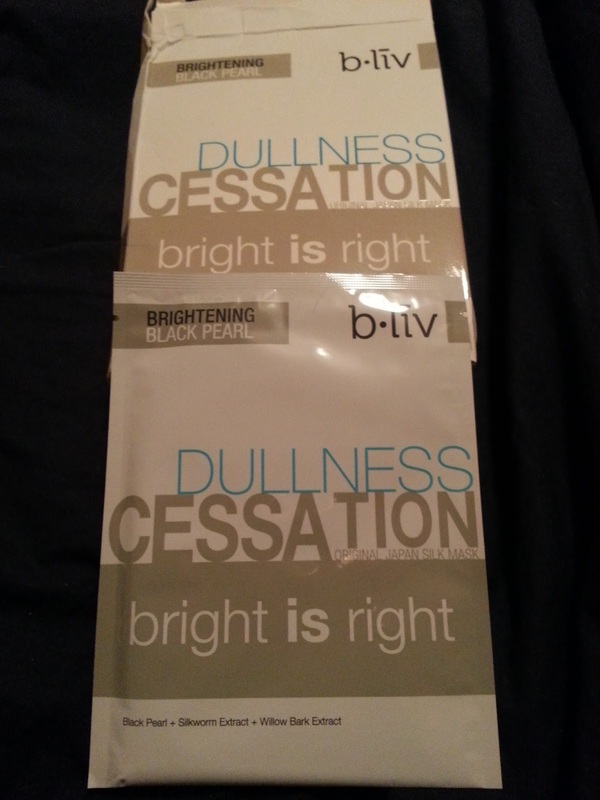 I was contacted days before Christmas by Pui at Cellnique, who was reaching out to give me an opportunity of trying their skincare line called B-Liv. They asked me to join their beauty community, to which I agreed, and they asked for me to send my skincare type and concerns, along with my mailing address. I told them that I have dry skin, with some redness (uneven skin) dullness and I do get acne from time to time. With that, they told me which products I should expect, and that they were sending out the parcel as soon as possible. Well, they have insanely fast shipping from Malaysia, because 6 days later I received notice from DHL that I had a package arriving, and they wanted duties for it. I sent a quick email to Pui asking if I was required to pay this, and they advised me that they would cover the cost. So I paid for it with my credit card, and they issued me a credit on the same day. Super quick, great customer service! b•liv is about confidence as we are seeking to inspire young people to believe in themselves and motivate them to make a difference not only in their skincare but also in their lives. The name “b.liv” is not just a contraction of the word “believe” but also a union of the words “be” and “live” aiming at forming a life style motto that encourages b•livers to “live the moment. As you can see, they were VERY generous! I was not expecting full size products, at all! I was sent a full size bottle of off with those heads, submerge me, drench me, and two boxes of sheet masks. One is ultimate aqua surge leach me, and dullness cessation bright is right. This stuff is AMAZING. I've been using it all over my face, and wow. I have seen a difference. The blackheads on my nose are easier to squeeze. I try not to pick at my face often because it leaves mark and sometimes scars. But this has made some of them just ready to come out on their own with no force. I also noticed I was getting some blackheads here and there on my forehead, and this cleared them right up. Now it does sting just a little at first, but it quickly fades. This is probably my most favourite product they sent me! They do say that it may cause your skin to have more oil in the beginning, but I didn't encounter that at all, but that may be because I have dry skin to begin with. I love this stuff! Thirsty? With the new "SKIN BIO-MIMIC" technology, Submerge Me offers deep moisture penetration to serve intensive and instant relief to parched skin as well as brightens dull complexions and calms skin irritations. 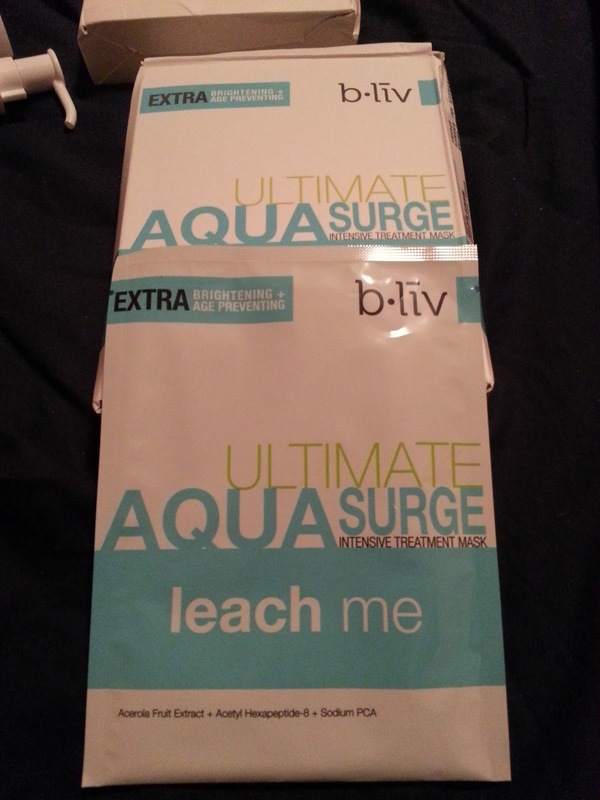 Take our advice, it's best to take the plunge with Submerge Me's faithful mate - the ever popular Leach Me. This couldn't have come at a better time, considering it has been so cold, and the heat just yanks the moisture out of my already dry skin. I find this really boosts the moisture on my skin. I've been using it as a serum before I apply my emulsion, and it just really makes my skin feel like it's drinking some water, lol. It's really refreshing. I see on their site that they recommend using this after you use your sheet mask, so I will definitely have to give that a try! This also is a great product! This ultra-silky weightless gel cleanser removes impurities from your face while providing a good moisturizing for your skin. Seaweed, Aloe Vera and Green Tea extracts - a robust combination in a hydrating cleanser that make sure your skin stays supple and moist. Formulated with antioxidant properties, Drench Me keeps aging signs at bay. This cleanser didn't burn or irritate my skin. It also feels hydrating after you use it. You know how some cleansers say they won't dry out your skin, but they lie. This one, definitely doesn't dry out your skin. I didn't feel any tightness after using this at all. Bright is right restores skin's radiance by refining and smoothening the texture of the skin. Its 100% pure Japanese Nano-Pearl Powder, a source of amino acids and minerals, regulates pigmentation and revitalizes your skin, while its moisture-retaining ingredients provide instant hydration. • Accelerates the skin's natural process of shedding dead skin cells and replaces them with new ones revealing a pure, fresh and healthy-looking skin. 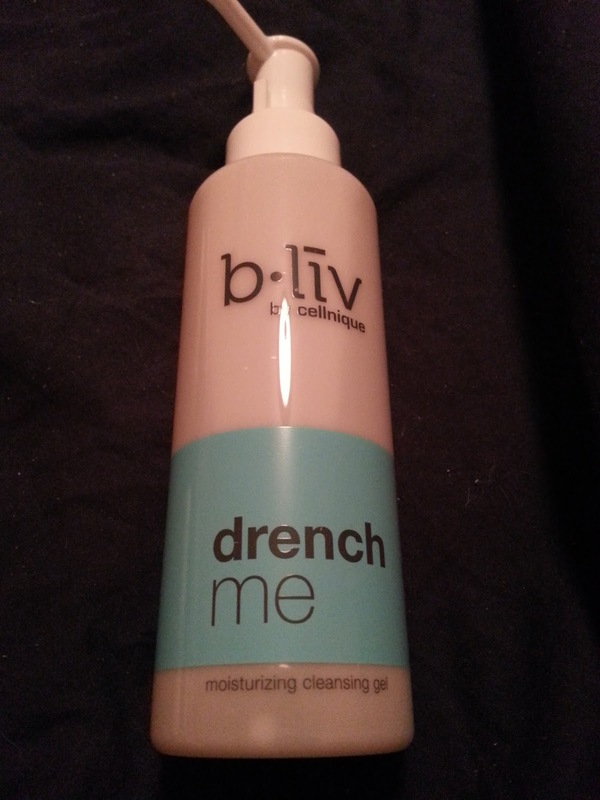 • Provides instant hydration t and helps skin preserve its optimum moisture balance. I did find this to have a lot of essence, both on the mask and also inside the packaging. The mask itself was a little more on the thinner side, but it did definitely provide moisture to my skin, and my skin looked brightened after using them. The essence soaks into your skin pretty quickly after you take off the mask. I liked this one! And I definitely wasn't expecting to be sent a full box of them! Thank you! This is the perfect mask for someone with dry skin. It is very moisturizing, my skin felt so great after I wore the mask for 30 minutes. This also comes with a lot of essence on the mask, and in the package. I find too much essence can be a little messy, but this one was not sticky at all. I just want to say thank you to Pui from Cellnique for providing me with these awesome products! 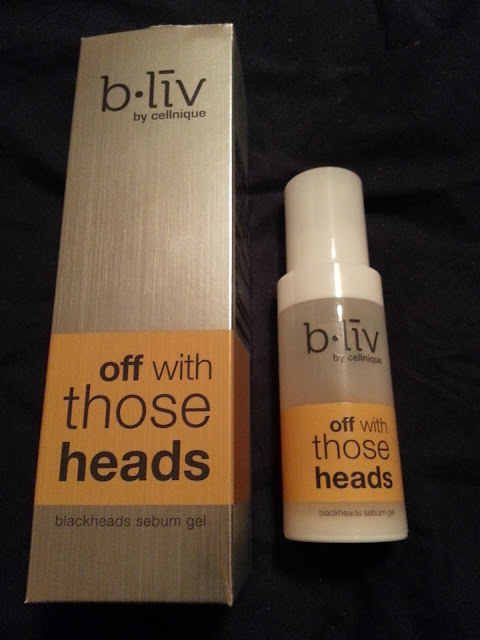 As I said above, off with those heads was probably my most favourite product out of them all! I really like the effect it has had on my skin, and of course how much it has made my blackheads smaller and some even disappear!